Pickup Mounting Screws, Gold, 1"
Quantity is for 2 total screws and springs. Application for use with many Major OEM humbucker applications. 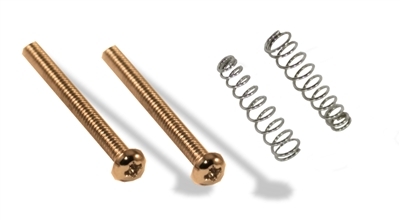 Please check overall length, there are two different lengths for this screw. This is the shorter length.